https://matcha-jp.com/en/1241 Exclusive To Asakusa's Don Quijote: Halal Japanese Souvenirs! A new section of Don Quijote Asakusa featuring Muslim-friendly souvenirs has been opened starting from August 2015. Find out about the store and what sort of items they're offering! With an ever-increasing number of tourists visiting each year, Japan has begun adjusting its attitudes and becoming more prepared for their needs. For example, showing consideration for the subject of "halal". In previous issues of MATCHA, both halal and vegetarian-leaning shops have been introduced. In order to make Muslim travelers feel more comfortable while on vacation, both facilities and services have had to adapt to suit their needs. 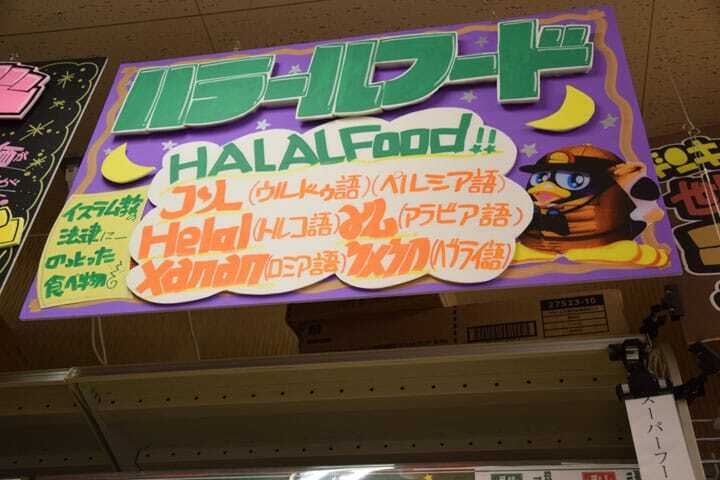 With that in mind, from August 2015 at the "Don Quijote Asakusa" shop in Asakusa, a corner selling Japanese goods for Muslim visitors was opened. So, what sort of shop is it, and what are they selling? Let's Check Out Don Quijote Asakusa! First, let's head to Don Quijote Asakusa. A two-minute walk from Asakusa station on the Tōbu Sky Tree Line, and close to Sensōji Temple and Asakusa Engei Hall, Don Quijote Asakusa stands in the heart of the business area. Making your way into the store, the first thing you see are the various goods that seem to overflow from their shelves. The "Muslim-Friendly Goods Corner" is located on the second floor. Take the escalator, which is located right by the entrance. Toiletries and daily use goods are found on the second floor, as is the alcohol corner. It's easy to miss the Muslim-friendly area if you don't know what you are looking for, so please take care. When you reach the top of the escalator, please turn and head in the opposite direction rather than going straight. Follow the aisle running alongside the stairs until you come face-to-face with a shelf, and then turn right. If you keep going straight, you will find a sign right next to the elevators that says "Muslim Friendly Goods Corner." We're here! Of the numerous goods in stock, let's take a look at the souvenirs that are the most "Japanese" and have the best value. *Please keep in mind that the shelves, products and placement are subject to change. Here is the first item on our list. Designed with the image of the world famous Hello Kitty, these are matcha (green tea) "Gaufrette" (1000 yen before tax). If you take a closer look at the packaging, you can clearly see the Halal Certification stamp printed on it. A food as popular as sushi, next up is Japanese ramen. If you'd like to make ramen at home, try this "Samurai Ramen" (800 yen before tax). Made without any poultry, pork or beef products whatsoever, this ramen still has the authentic Japanese flavor that you can safely enjoy at home. These Japanese tea bags, "Garasha" (480 before tax), are also really popular. The deep green packaged one, "Sencha" (煎茶), is green tea, while the brown package on the right is "Genmaicha" (玄米茶), a roasted rice tea blend. A deeper, more savory-scented tea than sencha, genmaicha is made by adding brown rice to tea. Beyond Halal Food, What Souvenirs Does Don Quijote Sell? Naturally, there are numerous goods besides halal foods designed with the tourist in mind. As these goods are also suitable for non-Muslims, let's take a look at a few of Don Quijote Asakusa's most recommended goods. One popular, standard souvenir for tourists visiting Japan is "Green tea sweets." At Don Quixote Asakusa, an entire shelf is devoted to these green tea snacks. A great number of goods representing Japan's traditional culture are also available. Here, you can see Japanese-patterned "tenugui", traditional Japanese style towels. Reasonably priced and easy to carry, these make perfect souvenirs. Asakusa also brings to mind nearby Kappabashi, a place well-known for its plastic food samples. For that reason, Don Quijote Asakusa also sells food sample goods. For example, the sushi key chains shown here are surprisingly realistic in real life - even more so than the picture may suggest! With a wealth of other options from Doraemon to Hello Kitty and other anime character goods, to Japanese-style cookware such as hashi (箸 "chopsticks") and hōchō (包丁 "kitchen knives"), you have your choice of whatever would make the ideal souvenir. The store also comes complete with a duty-exemption counter and free Wi-Fi service, and is fully prepared with all the services and facilities that make tourists happy. If you have ever got lost searching for souvenirs in Asakusa, you should definitely check out Don Quijote. Credit Cards: JCB, VISA, DC, MASTER, AMEX, Diners, Union Pay, etc. Asakusa Suzukien - The Richest Matcha Gelato In The World!